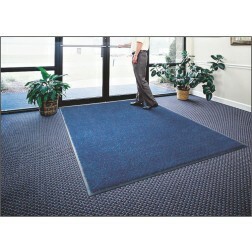 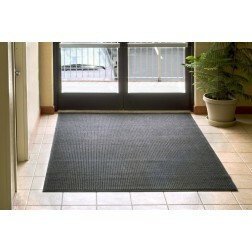 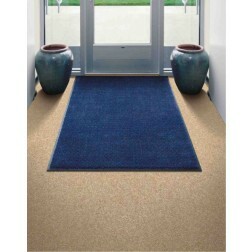 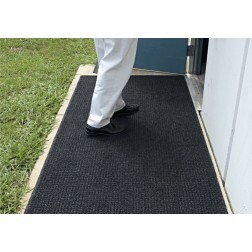 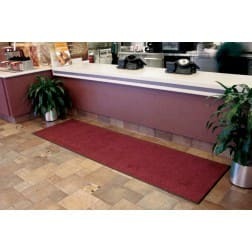 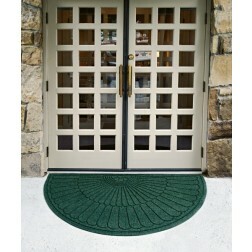 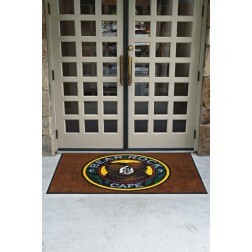 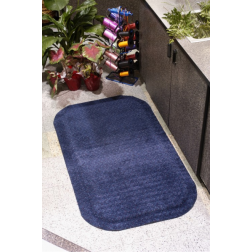 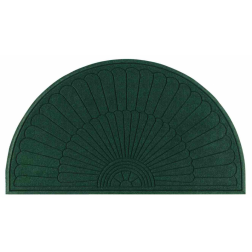 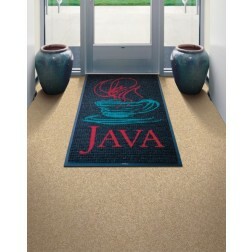 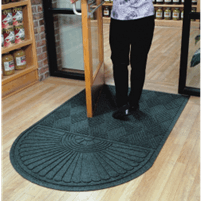 Andersen Company Anti-Fatigue & Entryway Mats | Mats Inc.
21 ounce per square yard of extra coarse solution dyed nylon fibers create outstanding scraping action. 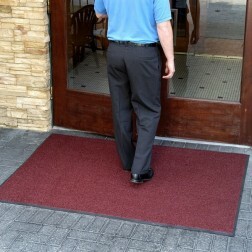 Solution dyed yarn will not fade in sunlight. 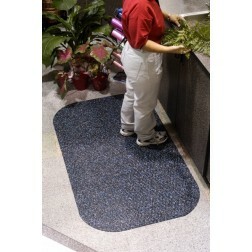 Gripper backing helps to control mat movement especially on carpeted surfaces. 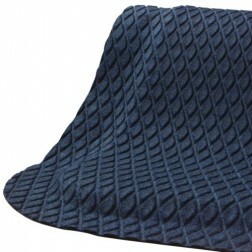 Face nubs are reinforced with rubber to resist crushing, maintaining high performance and extending product life. 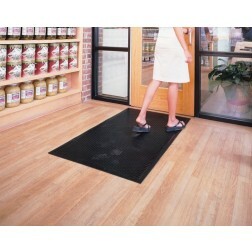 Nub surface: Removes and traps dirt and moisture and holds it on mat below shoe level so it is not tracked in. 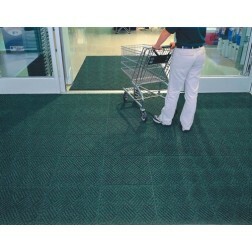 Extra coarse solution dyed nylon fibers create outstanding scraping action. 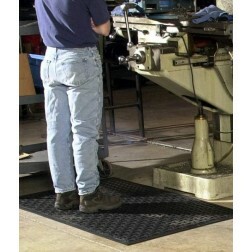 Raised NUB surface: Removes and traps dirt and moisture and holds it on mat below shoe level so it is not tracked in. 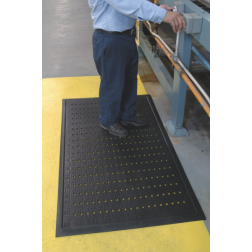 Reinforced face NUBS: Face NUBS are reinforced with rubber to resist crushing, maintaining high performance and extending product life. 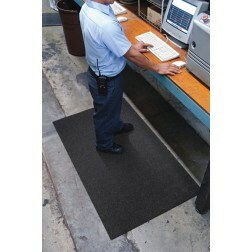 BrushHog's non-skid rubber backing contains 20% recycled rubber content. 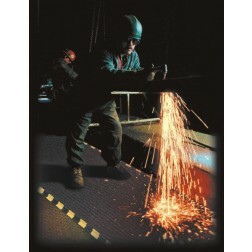 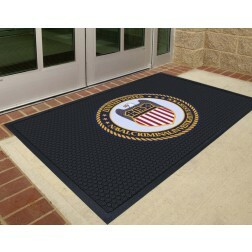 Heavy durable Safety Scrape mats work wonders in environments where traction is essential. 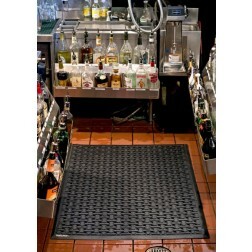 In kitchens, locker rooms, on inclines, behind lunch counters and bars, in production areas and outside entrances. 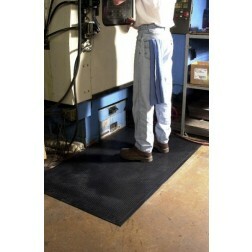 Constructed of 100% nitrile rubber for oil and chemical resistance. 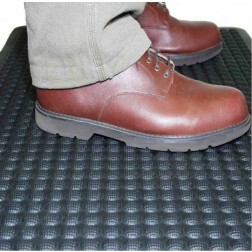 20% post-consumer recycled rubber content. 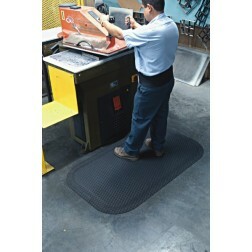 Molded face cleats act as scrapers to remove heavy dirt and soil from shoes and provide an excellent anti-skid surface. 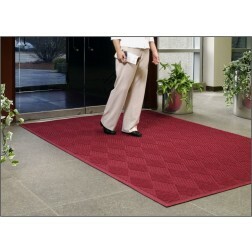 Available in four OSHA approved striped color border. 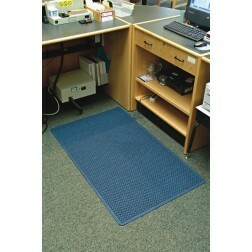 See item #430 for mat option without holes.